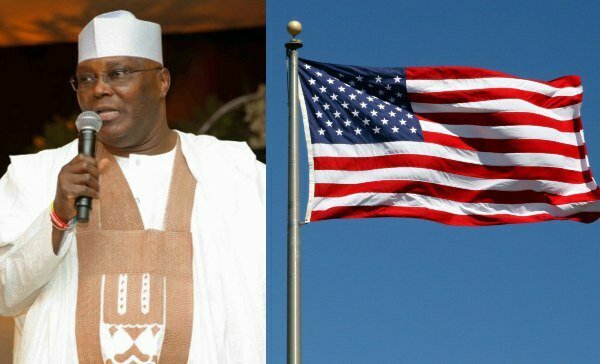 Alhaji Atiku Abubakar, the Presidential candidate of the People’s Democratic Party, PDP, in forthcoming elections slated for February 16 , 2019 has landed in United States of America, USA. According reports, the PDP presidential candidate will meet with president of United States, Donald Trump and PDP faithful in diaspora. Confirming the arrival of Atiku in US, the Publisher of Politics Governance, Prof. Alex Akpodiete said, “I can confirm that the US Chamber of Commerce is hosting PDP presidential candidate Atiku Abubakar tommorow (Today). This is their reply to my telephone and written inquiry, Thursday, January 17 2019 at about 5.02pm. “According the US based publisher, “The Chamber’s U.S-Africa Business Centre is hosting the candidate to a private round table that is off record and closed to press”.